CT 295 is a three way compact speaker. 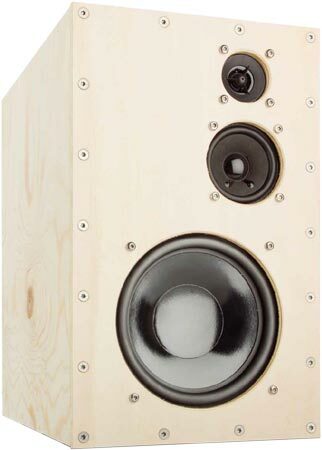 CT 295 is a closed-cabinet loudspeaker with drivers of Visaton . - a band pass consisting of a 2nd order high pass filter (12 dB per octave slope) and a 2nd order low-pass filter (12 dB per octave slope) for the ullrange loudspeaker. At low volume, i.e. 85 dB at 1 m, the nonlinear distortions are below 0.5% above 200 Hz and doesn't exceed 1% at 95 dB at 1 m between 200 and 15000 Hz.